PHOTO BY BENJAMIN EALOVEGA Violinst James Ehnes. In the classical music world at least, waltzing is a highly accepted way to begin the New Year. Ward Stare must feel the same way: Stare's opening program of 2017 with the Rochester Philharmonic Orchestra gave plenty of time to two large-scale showpieces that offered sophisticated treatments of the dance in three quarter time. Stare is racking up some impressive performances with the RPO of Richard Strauss. Last season's "Heldenleben" and "Four Last Songs" were outstanding, and this concert's rendering of the suite from Strauss's opera "Der Rosenkavalier" was near spectacular. This was one of several suites from "Der Rosenkavalier." Like a hit TV series, Strauss' hit opera produced many spinoffs to showcase its popular tunes. The arranger of this particular suite isn't known, but they did the job well enough: almost all the great moments are there, and the orchestration is thoroughly Straussian. Stare has an obvious affinity for this lusciously orchestrated music. The orchestra dug into every horn whoop and string portamento, and the many waltz melodies were irresistible. But conductor and orchestra also honored the music's emotion and sentiment. This large, delcious slice of Viennese pastry was balanced by a tart French lemon soufflé in Ravel's "Valses Nobles et Sentimentales." The combination worked like a charm. If Richard Strauss had any rival in the art of orchestration, it was Maurice Ravel. Temperamentally, though, they are quite different. Strauss's waltzes are hearty and a bit heavy; Ravel's are elusive, delicately perfumed, and with a touch of irony and subtle eroticism. Some conductors draw out this modestly proportioned suite unconscionably, making it more "sentimentale" than anything else; Stare kept much of it brisk, brilliant, and invigorating, aided by some elegant playing from the orchestra. The concluding waltz -- an epilogue which brings back themes from all the previous waltzes -- was magically done, with a lovely dying close. The RPO really should play this piece more often; its last performance was in 1994. All this sentimental and noble waltzing was preceded by a highly satisfying performance of Beethoven's Violin Concerto with Canadian violinist James Ehnes. This popular piece is one of the most unusual virtuoso vehicles in the repertoire. Four taps on the timpani introduce a broad first movement that is as long as any Mozart violin concerto in itself, balancing a slow movement that is a simple, quiet set of variations, and a finale that is a mostly well-mannered jig. I wouldn't describe James Ehnes's playing as "dainty," but "graceful" and "elegant" definitely fill the bill. Beethoven's violin part is paradoxical: extremely showy, it requires a complete lack of showiness from the soloist. 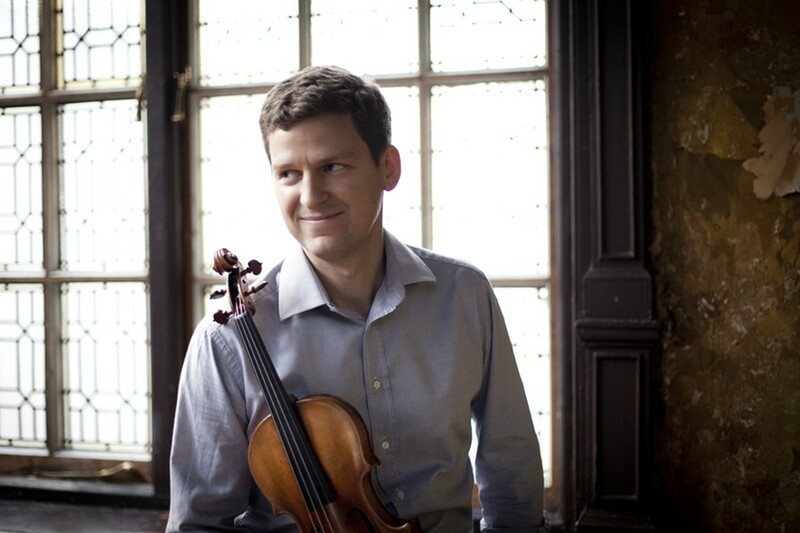 Ehnes's no-nonsense style, his accuracy, and his sweet but penetrating tone, fit it perfectly -- and fit the movement from Bach's Third Solo Violin Sonata that he played as an affecting encore. Conductor and soloist worked beautifully in tandem here. Tempos were perfectly judged, and Stare brought a nice weight to the purely orchestral passages. Another unusual aspect of Beethoven's concerto is the prominence it gives the winds, particularly the solo clarinet and bassoon; clarinetist Kenneth Grant and bassoonist Matthew MacDonald deserved their individual bows.